Today’s guest is a powerhouse of possibility! She’s taken what many would have deemed as adversity and turned it into a massive opportunity. She’s the host of the top-rated podcast, Don’t Keep Your Day Job. 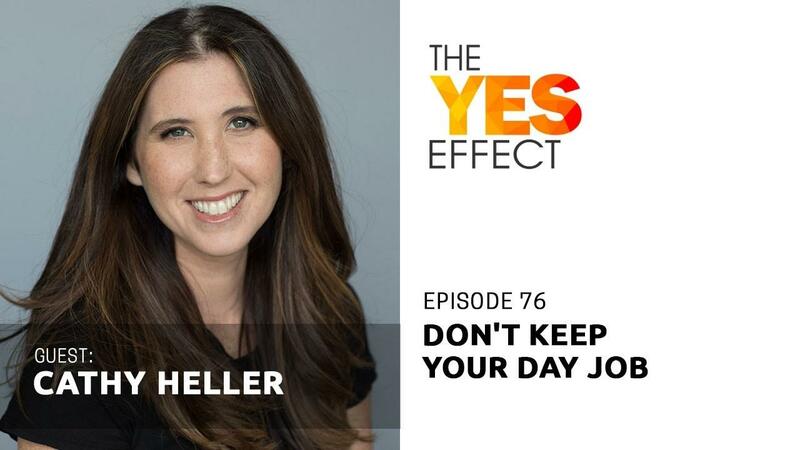 Her name is Cathy Heller, and this is The YES Effect Show! The one thing that everybody is craving! Special thanks to Cathy Heller for joining me this week. Until next time!